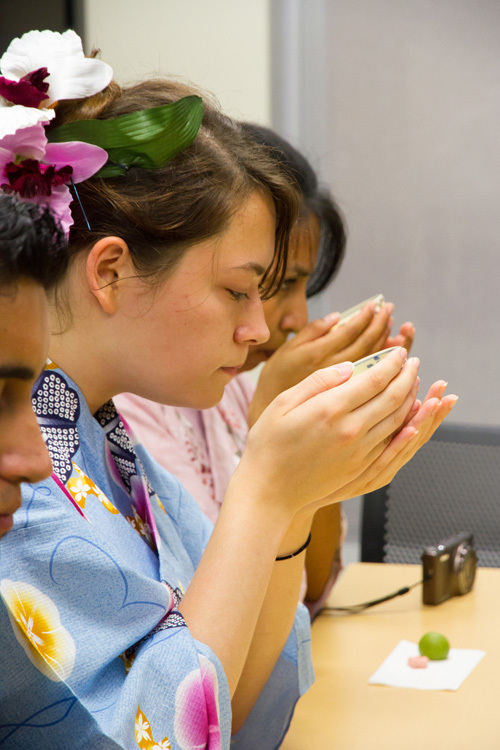 Yukata-Class for international students was held on July 4, 2014. 15 male students and 5 female students participated in the class. 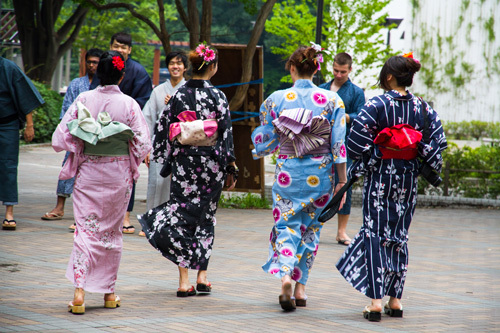 Every student chose their favorite Yukata and Obi and dressed up by the instructors’ help. 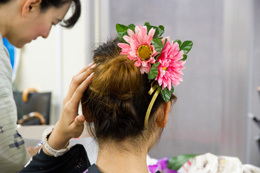 For the female students, the instructors also arranged their hair styles for Yukata fashion. 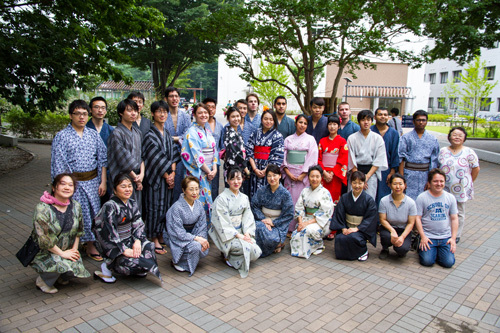 After everyone got dressed, they took a commemorative photo in Communication Park. 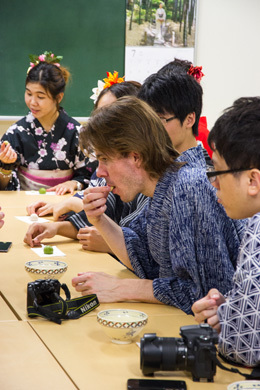 After the photo shooting, they enjoyed Wagashi (Japanese confectionery) and Maccha tea. There were many students in the class it was the first time to eat Wagashi and drink Maccha tea, so they remarked about them, such as the Wagashi was sweet and delicious or the shape was so lovely.